Abstracting/ Indexing: Scopus (Since 2019), Chemical Abstracts Services (CAS), CABI, Ulrich Periodicals Directory, Electronic Journals Library, Crossref, ProQuest. It is my honor to be the editor-in-chief of IJESD. The journal publishes good papers in the field of environmental science and development. Mar 15, 2019 News! Vol. 10, No. 3 & No. 4 have been indexed by Crossref. Abstract—Nature is always a source of inspiration. Natural production, protection and degradation are more balanced. In this paper the natural production of shear strength and degradation of the soils are examined through facts and figures. Limestones commonly contain only one or two dominant minerals. They are composite grains made up of large number of small calcite or aragonite crystals. The term allochem cover all of these organized carbonate aggregates that make up the bulk of many limestones. Skempton points (Clay types with varying percentage of clay size particles) are compared to different stages in the formation of aggregate grains through natural processes which results in manifestation of coaxial and non-coaxial components of shear strength of soils in shallow/deep marine environment. All these aggregates slowly reach CCD (Carbonate Compensation Depth). In CCD all the carbonates in any form are dissolved completely and only mud (silt and clay) and sand are separated. At this stage both coaxial and non-coaxial components of shear strength is drastically reduced and in abyssal plains as evidences show that the shear strength is barest minimum or residual. Index Terms—Allochem, carbonate compensation depth, coaxial and non-coaxial shear strength, residual shear strength of soils, Skempton points. J. Rajaraman and K. Thiruvenkatasamy are with Harbour and Ocean Engineering, AMET University, Chennai, India (e-mail: rajaraman.usha44@gmail.com, swamy2667@gmail.com). S. Narasimha Rao is with IIT Madras, Director Dredging Corporation of India, India (e-mail: kuttyharirao@gmail.com). Cite: J. Rajaraman, K. Thiruvenkatasamy, and S. Narasimha Rao, "Marine Bio-Geo Based Geo-Technology and Manifestation of Coaxial and Non-Coaxial Components of Shear Strength of Soils," International Journal of Environmental Science and Development vol. 7, no. 2, pp. 126-133, 2016. 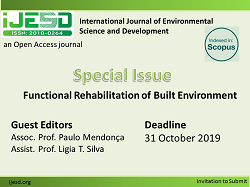 Copyright © 2008-2018. International Journal of Environmental Science and Development. All rights reserved.